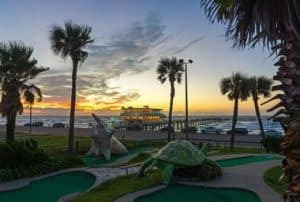 Galveston Island was known as the “Playground of the South” – a tourist destination with attractive beaches, convenient location, high-traffic port and numerous attractions. Galveston brings many visitors to this charming historic beach town on the Texas Gulf Coast. It is a romantic island tucked deep in the heart of south Texas. It is located 40 miles south of Houston and has become a popular year-round destination. Galveston has the largest and most well-preserved concentrations of Victorian architecture in the country. 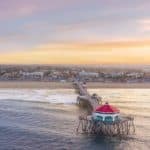 It is home to 32 miles of beaches, a wide variety of family attractions, museums, restaurants, shopping, and outdoor activities including kayaking, diving, deep-sea fishing, birding, golfing, beach volleyball, and so much more. Galveston has festive events going on almost every weekend to include the 3rd largest Mardi Gras celebration in the country, the Galveston Island Food & Wine Festival, Brewmasters Craft Beer Festival and the Galveston Island Wild Texas Shrimp Festival. The holiday’s in Galveston are full of charm with unique events such as Dickens on The Strand and Festival of Lights at Moody Gardens. You can also find out all about the nearby beaches here. 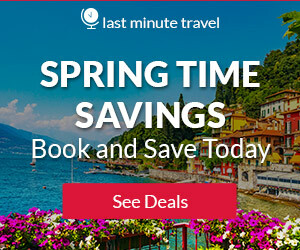 The best time to visit Galveston is October to November or March to April when the weather is warm, but not sweltering, and accommodation prices are reasonable. Winter is the best time to score a deal on your accommodations, but it will likely be too chilly to enjoy Galveston’s beach activities. The months that span May and September constitute Galveston’s long summer season, where lodging rates, tourism and temps are at their peak. October – November is the best time to visit Galveston. With average highs that fall from 80 degrees in October to the lower 70s in November, fall is a lovely shoulder season in Galveston. 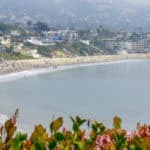 The moderate temps are perfect for both days at the beach and leisurely self-guided tours of the historic properties, restaurants and shops in The Strand district. The winter months that span December and February are some of the best times to find deals on your accommodations, but keep in mind that some of the outdoor attractions around town will shutter for the season. These months see high average temps hovering in the 60s. Early spring is another delightful time to visit Galveston. Average temperatures, which range from the lower 60s to the lower 80s, aren’t at their summertime highs. Plus, April is the month to witness the annual spring bird migration. Still, keep in mind that spring breakers descend on the island on school breaks, so you might see an uptick of families and groups of college students this time of year. Summer is a long season in Galveston, which stretches from May – with high average temps in lower 80s – to September – with high averages temps in the upper 80s. All of that heat draws Houstonians to Galveston’s beaches, which can make for crowded conditions on the sands and at various other attractions. Summer also sees the highest prices on accommodations. 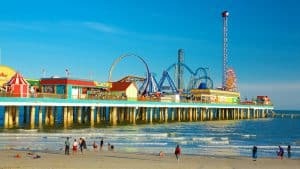 The Pleasure Pier features waterfront fun and entertainment like no other Gulf Coast destination, the Galveston Island Historic Pleasure Pier features family-oriented attractions including rides, midway games, a wide selection of food venues and retail shops. Pleasure Pier is one of the few spots in the world that has this many rides over the water! You’ll be flying over guests on the Pier, soaring over the Gulf of Mexico and anticipating your next ride! And boy is there food! No matter what you’re craving, the Pleasure Pier has food choices for the whole family. Take your pick of everything from world-famous shrimp to more traditional choices like burgers, pizza and sweet treats! For general information call 1-855-789-7437 or visit them at the Pleasure Pier. The center of Galveston’s beach activity takes place along the island’s famous Seawall Boulevard. This urban park stretches more than 10 miles offering plenty of beach as well as the nation’s longest continuous sidewalk — great for running, biking or people watching. Beaches along the seawall offer easy access to the island’s many beachfront restaurants, resorts and tourist attractions, such as the Galveston Island Historic Pleasure Pier amusement park that stands on a pier over the Gulf of Mexico at Seawall and 25th Street. For more information visit Seawall Urban Park. The Strand Historic District will wow you with its wealth of things to see and do. You’ll have your choice of fun shopping, fine dining and fantastic nightlife options. What’s more, the Strand is populated with attractions galore that you will undoubtedly feel compelled to explore. 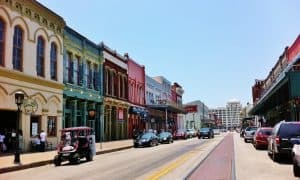 As you amble along this 36-block strip of downtown Galveston, you’ll come across a smorgasbord of stores housed in historic buildings from the late 1800’s. Discover everything from shops selling maritime antiques to hip boutiques offering the latest designer styles. The Strand is also populated with attractions like the Galveston Railroad Museum, Haunted Mayfield Manor and 1877 Tall Ship Elissa. Get a brief history lesson at the Pier 21 Theater, which runs short documentary films about Galveston Island on a daily basis. Certainly, The Grand 1894 Opera House and ArtWalk should be on your itinerary. Visit the island to stroll the beach or splash in the waves. Or visit the island to go fishing or look for coastal birds. No matter how you end up here, you’ll find a refuge at Galveston Island State Park. Just an hour from Houston, but an island apart! With both beach and bay sides, Galveston Island State Park offers activities for every coast lover. You can swim, fish, picnic, bird watch, hike, mountain bike, paddle, camp, geocache, study nature or just relax! Visit our nature center to learn more about the park and its programs. Join them for the 2-hour sunset cruises where guests are welcome to bring snacks and beverages aboard to make the trip more enjoyable. Perfect for couples that want to sip champagne and watch the sunset or a group of friends just looking for something different to do, the trip will not disappoint. 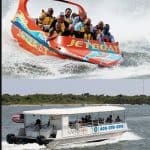 Take a jet boat thrill ride so the whole family can enjoy the thrill and excitement of right angle turns and accelerated speeds. Or join them for a one hour tour of Galveston’s Harbor to see birds and marine life, where you can get a close up view of playful dolphins jumping. For reservations call 409-2766116, visit their kiosk on Pier 21, or go online at Galveston Water Adventures. BayWatch Dolphin Tours is a family owned and operated business in Texas. They’ve been serving the Galveston and Houston area since 2005. They are located on Pier 21 in front of the Harbor House Hotel, only a short distance away from the historical Strand District in Downtown Galveston. They take pride in the fact that they are able to keep their prices affordable for everyone while still providing 45 minutes of informative fun for young and old alike! Their boat has a covered interior and is a dolphin safe tour boat. It is a is a jet drive boat with no propellers. They take you up close to view the dolphins in their natural habitat. They are open 7 days a week, and their boats leave every hour from 10am to 5pm. Infants and pets ride free! For information you can call them at 832-859-4557 or visit them at Baywatch Dolphin Tours. Cool Tours offers sight-seeing tours of Galveston Island and charter/shuttle transportation services throughout the Galveston and Houston area. 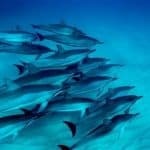 Want to see dolphins? Cool Tours provides a unique and comprehensive Land and Sea Tour that combines Galveston’s top-rated dolphin tour with their East End Historic Tour. Explore Galveston Island! 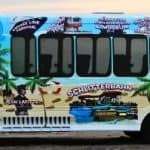 Cool Tours provides Galveston’s only Air-Conditioned Sightseeing Tours. Cool Tours offers two tours: a 1-hour East End Historic Tour and a 2.5-hour Land and Sea Tour . Cool Tours also provides private transfers to/from the Galveston Cruise Terminal, Hobby (HOU) Airport, Bush (IAH) Airport, and local hotels. For information call 409-539-5374 or visit Cool Tours. Have you ever watched the sailboats go by and dreamed about being out there on one. Enjoying the wind, waves and sunshine, or maybe enjoying a loved ones company under a full moon while sailing. How about taking the family or a friend on a sailing adventure or anchor out at an island swimming and watching dolphins play. You can be a part of the adventure at very reasonable rates on a private sailing yacht. For more information call 713-829-2164, or visit them on the web at Sail Galveston Bay Charters. 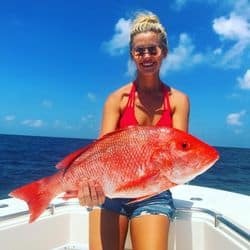 Fishing Galveston TX offers the most amazing fishing charters in Galveston. From shallow water night time flounder gigging to Deep Sea Fishing in the Gulf and everything in between we have a trip for you. Whether you are a seasoned angler or a first-time fisherman, your time spent with us will have you hooked. Their captains are family oriented with kids in mind. They love getting those kids “Hooked Up!” From family fishing to corporate entertainment, or even that special weekend out with friends for a bachelor or bachelorette party – they have a trip for you. What to look for on their NEW menu: New items include: Tuna poke, Oysters the BLVD. way (always changing), AND Exotic game (always changing and made their way!). Lunch Menu Items: PBJ sliders, soft shell crab tacos, Caribbean tacos, blackened shrimp tacos, Mediterranean tacos, and Asian tacos. For more information call 409-762-2583 or visit BLVD Seafood. Miller’s Seawall Grill serves fresh seafood, breakfast, sandwiches, burgers and blue plate specials, all with a view of the Gulf! Their full menu is available all day. For more information call 409-763-8777 or visit Miller’s Seawall Grill. When visiting Galveston Island, you simply can’t miss the Island’s most unique dining experience, Rudy & Paco. Rudy & Paco features grilled seafood and steak with a South and Central American sabor. Relax and unwind with your favorite cocktail while enjoying delicious Antojitos. Rudy & Paco is located next door to The Grand 1894 Opera House, and is a great choice for pre-show dinner specials. Note: Shorts are not allowed in main dining room at dinner, but are accepted at the bar. Lunch is casual and shorts are acceptable. For more information call 409-762-3696 or visit Rudy & Paco. Shearn’s Seafood and Prime Steaks is the premier destination for fine dining in Galveston. Their restaurant features floor-to-ceiling views of the Gulf waters. Shearn’s is one of only 11 Houston/Galveston area restaurants to receive AAA’s Four Diamond Award of Excellence, and it has won it each year since 2004. Executive Chef Felipe Gonzalez crafts his signature Gulf dishes, including his Shrimp Dejong and Lobster Bisque. Shearn’s Lounge, the bar outside the restaurant, has spectacular views of the Moody Gardens Pyramids and sunsets over Galveston Bay. For more information call 409-683-4554 or visit Shearn’s Seafood & Steak. Shrimp n Stuff, known for affordable and delicious seafood dinners, po-boys, gumbos and salads, has been an island mainstay since it opened for business in 1976. The ‘locals’ have supported their reputation for value, freshness and flavor. “They have people visiting Galveston who come in and say they wish they would have found Shrimp n Stuff the first day they arrived in Galveston, ” the manager says. For more information call 409-763-2805 or visit Shrimp & Stuff. Ocean Grille & Beach Bar is a coastal seafood restaurant with an exciting, chef-driven menu, inspired beverage program, and incredible views of the Gulf. They are dedicated to providing an exceptional dining experience to the residents and visitors of Galveston Island. You can relax on their casual Gulf front patio with one of their signature cocktails, delicious appetizers and awesome flatbreads. If you are seeking a more intimate dining experience, you can unwind in their modern, ocean-inspired dining room with their extensive wine menu, fresh seafood entrees and amazing desserts. Contact them at 409-974-4508 or visit them at Ocean Grill & Beach Bar. Get food and drinks Island Style! Huli Huli Hut is a bright, Hawaiian-style restaurant serving lunch and dinner with a full bar in a beautiful tropical setting. They have a large menu of great specialty drinks. 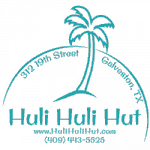 Contact them at 409-443-5525 or visit them at Huli Huli Hut. Beerfoot Brewery is your stop for fantastic craft beers while looking out on Galveston’s historic Seawall Boulevard! Combining a one-of-a-kind venue with the latest in specialty beers, Beer Foot is THE place to enjoy beers of all kinds. 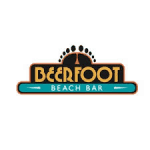 Contact them at 409-762-BEER or visit them at Beerfoot Beach Bar. Nick’s is serving up the freshest seafood, juiciest burgers and fattest po’boys on Galveston Island! With the best beer selection on the seawall, the freshest ingredients, live music and an ideal seaside location, you’ll want to take the bait and get hooked. Contact them at 409-761-5502 or visit them at Nick’s Kitchen & Beach Bar. There is always time for a daiquiri. Even in the face of catastrophic emergency, in which life or death actually depend on immediate action, there is still…. always time for a daiquiri. For more information call 409-497-2760 or visit Daiquiri Time Out. This property is 1 minute walk from the beach. This luxurious beachfront resort features 3 on-site restaurants, which include fine dining options and casual alternatives. Free Wi-Fi access is available in each room. Enjoy massages, facials, body scrubs, wraps and hydrotherapy baths at the full-service spa. You can also relax in the tropical outdoor pool, which has its own poolside bar. A state of the art fitness center are also available. For more information, pricing, or to reserve your room, visit The San Luis Resort & Spa Conference Center. This property is 2 minutes walk from the beach. Featuring a full service spa and an outdoor heated pool, this luxury resort is located on the shores of the Gulf of Mexico just 5 minutes’ drive from Central Galveston. Free Wi-Fi is provided. Guests can work up a sweat doing cardio or lifting weights in the fitness center. The Wyndham Grand Hotel Galvez and Spa offers concierge services, a business center and beach chairs for hire. Galvez Bar & Grill, the on-site restaurant, is open for breakfast, lunch and diner. Guests can enjoy views of the water whilst dining on one of the many fresh seafood menu options. For more information, pricing, or to reserve your room, visit Hotel Galvez and Spa, A Wyndham Grand Hotel. This property is 3 minutes walk from the beach. Located on Galveston Island, these beachfront suites offer a kitchen and free WiFi. Two outdoor pools are located on site. The Galveston Pleasure Pier is just 6 minutes’ drive away. Guests at Casa Del Mar Beachfront Suites can access on site BBQ facilities, and a launderette is also available. This accommodation offers a 24-hour reception. For more information, pricing, or to reserve your room, visit Casa Del Mar Beachfront Suites. This property is a 10-minute walk from the beach. Offering an outdoor pool and a restaurant, Victorian Condo Hotel Resort is located in Galveston. Free Wi-Fi access is available. This condo will provide you with a cable TV and a balcony. There is a full a kitchen. Featuring a shower, the private bathroom also comes with a hairdryer. At Victorian Condo Hotel Resort you will find a tennis court and a fitness center. Other facilities offered include meeting facilities and a laundry room. For more information, pricing, or to reserve your room, visit Closing Time at the Victorian. I lived in Texas for 10 years, and Galveston is just one of those places, along with South Padre and a few others that Texans visit for the beach. You would enjoy a visit here. Thanks for taking the time to leave comments. Very interesting and informative post. I like to travel and the Galveston Island with its content attracts my attention. When I travel I love the historical attractions what Galveston can offer. When I think of where I should run away from winter and snow from my country, Galveston is one of the desirable destinations. Thanks for the excellent post. You are welcome and yes, Galveston is a great choice! Texas hospitality is great and you would really enjoy yourself. Thanks for visiting our Galveston Texas Travel Guide. I was station in Lackland Texas during my basuc training,it was beautiful as well.But I don’t think it compare to Galveston. This is very well written, with lots of imagery making it very easy to visually see yourself there,enjoing,the beautiful beeaches,historic downtown,and the many colorfuf attractions. Thanks Orlando and glad you enjoyed your digital vacation to Galveston :D. Thanks for visiting and come back again! Hi Leahrae. I wish I found your post a bit earlier. In that case I would have been found in Galveston Texas, enjoying my life and sights. I really wish to see the dolphins some day. They are my favorite animals. 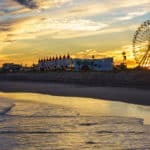 Is there something to do in Galveston during the winter? Thank you for your reply. Well Nikola, I am glad you found my site and the post on Galveston! We have actually been to the beach in the winter. The weather is still nice. The water can be a bit chilly but refreshing! You can take boat tours, see the dolphins, fish and play around on the beach, as well as enjoy the great many restaurants and bars. Thank you for this nice recommendation. Galveston Texas seems to be awesome. You know IÂ´m a big fan of beaches. It seems to be very hot in Galveston in August so I might consider to travel there in the summer. Thank you for this lovely written article. P.S. : My favorite animals are dauphines, just another reason why I have to visit this place. Thanks for the Galveston Texas Travel Guide in such details. It looks like a vacation getaway for the entire family. My kids will enjoy the Baywatch Dolphins Tours and diving will be the wife and I favorite. 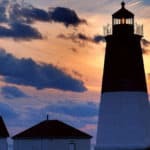 I took a look at a Galveston travel guide before but never thought it covers such vast amount of activities and events. I will discuss this with the wife and look to make this as one of our next vacation. Thank you for the information, will be sharing this site with family and friends. Take care and all the best. Thank you Bishop! I am glad you enjoyed reading my Galveston Texas Travel Guide. The whole area has a lot to do and of course, really nice Texas beaches! What a comprehensive guide on Galveston. Perfect. My husband is going over there for business, so I thought I would take the kids and we could entertain ourselves in the day. This article is perfect, I can plan my itinerary right from here. There is loads to do, I am surprised. I wasn’t sure about the trip before..
You will have fun Ruth! Galveston and the whole area has a lot to offer, on top of having great Texas beaches. Thanks for visiting! Very well written, and very extensive as well. I never was to Texas before, and didn’t look at it like a good place for travelers, but I might have to change that opinion for myself. I love how you mashed up together your experiences and general info, the personal touch was very appealing in my opinion. Thank you Vlad! Texas really does have a lot to offer, on top of the wonderful Texas beaches! Glad you enjoyed! Galveston sounds like a great place to spend a vacation/holiday. I have been to Texas but never had the chance to visit this beautiful beach. 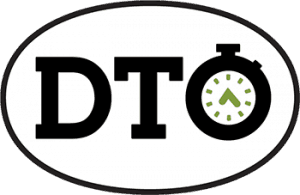 Great information you have provided with respect to lodging, restaurants, bars and more. My kids will love the dolphin tours. Are there other beaches in Texas other than the one in Galveston? Oh yes, we have lots of beaches down in that same area. You can visit them at http://beachtraveldestinations.com/category/best-beaches-of-texas They are all pretty awesome! I am glad you enjoyed reading the Galveston Texas Travel Guide! Rockport beach is such a nice place for visit. I also spent really awesome time with my few family members during my holidays. I really enjoyed there hiking and boating. I captured many incredible views of nature beauty in my camera. In my point of view it is a best place for having fun. I will love to explore this alluring destination again and again in my future life. Rockport Beaches and the whole area is amazing. I hope you and your family can visit again soon. Thanks for visiting the Galveston Texas Travel Guide. I love the images that you have at the beginning of your post, they really get your attention which is great. This has really helped to draw me in to read about Galveston, which I didn’t realise was on an island. I thought that Galveston was just an industrial port city and not much else happens there. But you have changed my perception very quickly, I wasn’t aware that it is a tourist playground and that you can do quite a few things there if you want to. I like how you have explained all the activities that tourists would be interested in such as tours, restaurants, bars and hotels. This is a good post, thank you Leahrae. You are very welcome Adrian. Yes, I get that a lot…many do not think that we would have great beaches right here in Texas! Good thing I live here and I tend to be a huge beach bum! Galveston is a fun place to go. A lot of atmosphere and a lot to do for the entire family. Nice article about traveling topics. I would like to see more pictures about the Galveston Island. It sounds very interesting to make a tour during August to live all those amazing experiences watching the baywatch dolphins. I would like to know which hotel can you recommend me from your list described?. Thank you for reading. It really depends on your budget. For a good mid-range, and rated good, I would probably suggest the Hilton Galveston Island Resort. It’s budget friendly, but also more of an upscale hotel with an awesome pool and great location. August is a great month as it is still really warm, and the water is a good temperature. Thanks for the in depth travel guide . I didn’t realize that Texas has such nice beaches. I’m planning a trip to the United States next year and after reading your article I think I’ll have to visit Galveston. Do you have any idea how much I should budget for Midrange travel? The Baywatch Dolphin Tours seems like something I’d want to do with my family. You can get a very nice hotel for under $90 a night, and if you stay a week, then you will find weekly deals as well. I wouldn’t worry about getting a hotel right on the beach, because everything is close! Yes, the Dolphin Tour is a must as the kids will really enjoy….heck I enjoy it! Thanks for visiting the Galveston Texas Travel Guide. I live in Texas, and I love going to the beach. However, the closest beach is 13 hours away from me so it’s usually a minimum week-long vacation when we go to a beach. We have been to Corpus Christi, Galveston, Port Arkansas, and have ultimately found the PERFECT beach get-away in Rockport. I like casual, non-touristy places to stay at when I escape the hustle and bustle of the city life. Galveston was really fun and I agree with the recommendation for the Chilaca Mexican Grille–especially the shrimp fajitas! I also recommend taking some baby powder to the beach. I love the beach but don’t really want to take it home with me or get sand in my car–baby powder has worked great for our family to rid ourselves of the sand when wash stations are too crowded or out-of-order. Have you ever tried baby powder to get rid of the sand or have a better alternative for keeping the sand at the beach when a day of play is over? Have you ever tried Fulton Beach or crabbing using a chicken leg, string, and crab net? It’s not for everyone, but you can make some AMAZING homemade crabcakes. Thank you for sharing your recommendations and for giving me some more places to visit when we are in the Galveston area again.